The secret weapon – NICLAY Lash & Eyebrow Activating Serum: Long and full natural lashes are undoubtedly every woman’s dream and also important for lash extensions. Strong and healthy natural lashes will maximize the desired outcome. The serum is also ideal as a build up therapy (1-3 months) for lash lifting/forming clients. To take care and strengthen lashes in the best possible way, we formulated the ideal product for you. 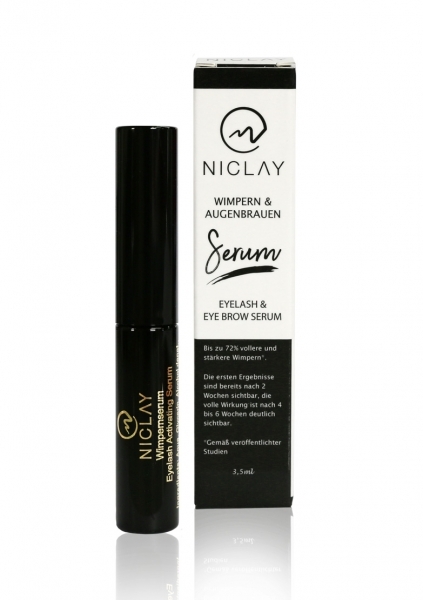 The NICLAY Lash & Eyebrow Activating Serum should be applied in a fine line on the upper and lower lash line within a treatment period of two to three months. To see rapid results, use the serum at night so the ingredients will show its full effect. The Serum is phytogenic, vegan and free off hormones.